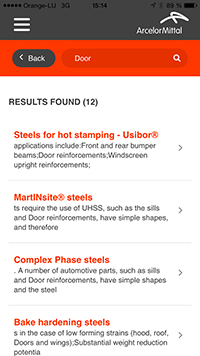 ArcelorMittal’s European Automotive catalogue is now as mobile as our customers’ vehicles! 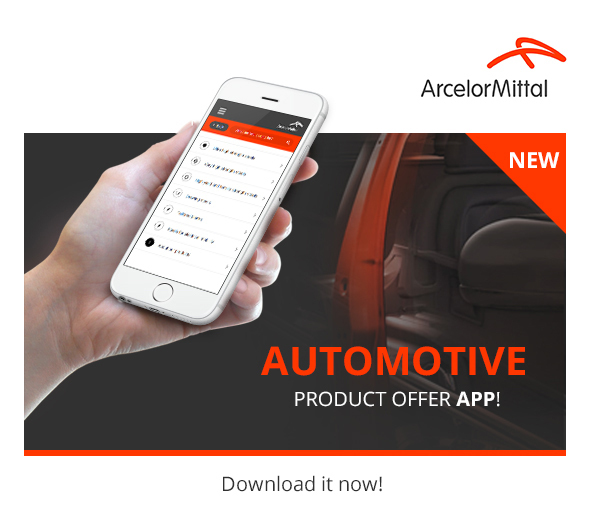 ArcelorMittal has launched a new and interactive Automotive app which puts the company’s European automotive catalogue at your fingertips. 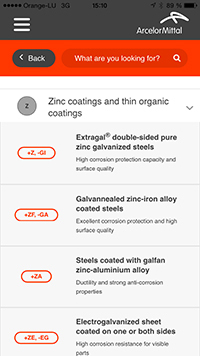 The app makes our database of steels and coatings accessible to anyone with an Apple or Android smartphone or tablet. 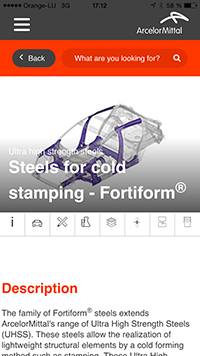 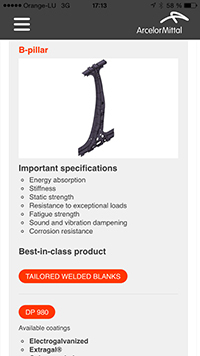 ArcelorMittal's automotive catalogue is a complete survey of our comprehensive product range, comprising everything from mild steels for deep drawing to Advanced High Strength Steels and tailor welded blanks. 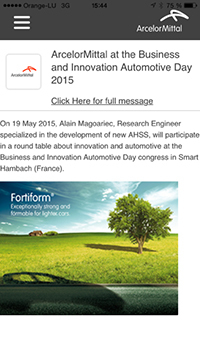 The app was designed for carmakers, Tier-1 suppliers, engineers, automotive designers, researchers and students. 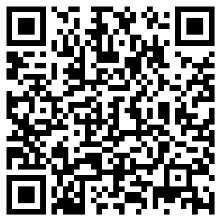 It is available in English, French, German and Spanish.